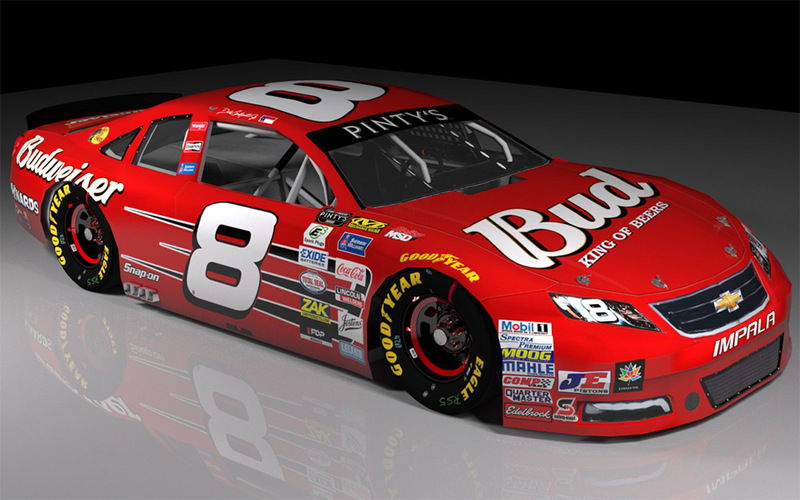 A classic scheme that Junior raced from 2004-2007 ('03s was similar but had a roof stripe) Credits: Temp/contigs: SnG, Base: Me, Numbers: BER, Logos: Google, TeamSBR, Alan, various vector sites, Sig: Google, Render: Garrett. I've been doing A LOT of these schemes lately so click on my name to see the others I've done! As an all time Dale Earnhardt Jr fan. His scheme on a Canadian car (where I'm from) just makes me happy!